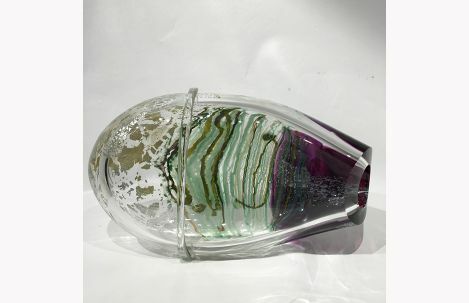 Hand-shaped glass off the pipe, on a horizontal axis. Intense, bold coloration achieved by using cane and rod; sculpturally manipulated front adds a layer of depth. Cut and polished. 18.5'' x 9.5" x 5"